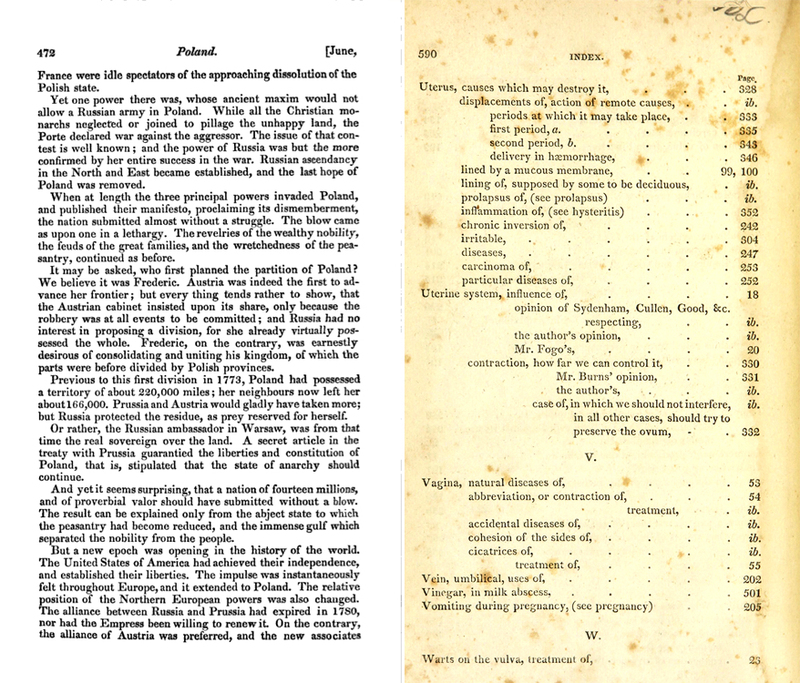 Also, John Fanning Watson, the early antiquarian & folklorist of Philadelphia, gives a number of accounts within his famed Annals of Philadelphia and Pennsylvania, published in the early 19th century, of well pits, pebble pavements, petrified trees, bones and other objects found many feet below the surface, located throughout the city of Philadelphia. The above article goes on to attest that scientists from the Wistar Institute (which still exists today at the University of Pennsylvania), but more specifically its Curator, “Dr. Milton Greenman” (1866-1937), had visited the cave, examined what was left of the bones (many having been carried off as souvenirs by the public), and declared in his belief it was too small to have been that of a mastodon, perhaps “a large bear,” though “in many respects the animal looked like a rhinocerous.” The human skull, in his estimation being “that of an Indian,” both creatures having lived roughly four to five-hundred years ago. More mysteriously atlases or maps of the time, do not show a Pemberton Stone Quarry at 55th and Wyalusing, neither have any papers survived of Dr. Greenman for 1896, either from the University of Pennsylvania’s Archives nor at the Wistar Institute. Neither does the Academy of Natural Sciences appear to have any data concerning the discovery as well. Naturally, scientific hoaxes were prevalent and published frequently within the nation’s newspapers during the 19th century, but the article in question is quite specific in its location, persons involved, as well as theoretical interpretation of said artifacts. Nothing is recorded in regard to any one receiving any gain or profit from the discovery. Some two months later in late July of 1896, a number of papers, both in and out of the state, recorded how, “the skeleton of what is reported to be a small mammoth,” was unearthed in West Philadelphia, along with the skull of an Indian, both of whose remains were sent to the “Wisconsin Institution,” no doubt a misprint or error for the Wistar Institute. After that, the story goes cold. I leave it up to the reader to perhaps uncover any further information about the whereabouts or exact definition of what was actually found if anything and share it with the author and our readers-at-large. A library can be a bewildering place. For many middle and high school students, libraries are a labyrinth of stacks, databases, and jargon. Those with homework or projects requiring research often ask: Where do I start? The Historical Society of Pennsylvania (HSP), one of the largest special collection libraries in the country, has the answer: Here. To mark the World Meeting of Families and papal visit, HSP is making freely available the newest issue of its illustrated history magazine, Pennsylvania Legacies. The issue explores the history of Pennsylvania’s Catholics, with articles examining the diversity—and sometimes conflict—within the early Catholic Church, the essential work of Catholic women religious in the 19th century, the organization and activism of African American Catholics at the turn of the 20th century, the important role of Catholic parishes in supporting immigrant communities, and much more. 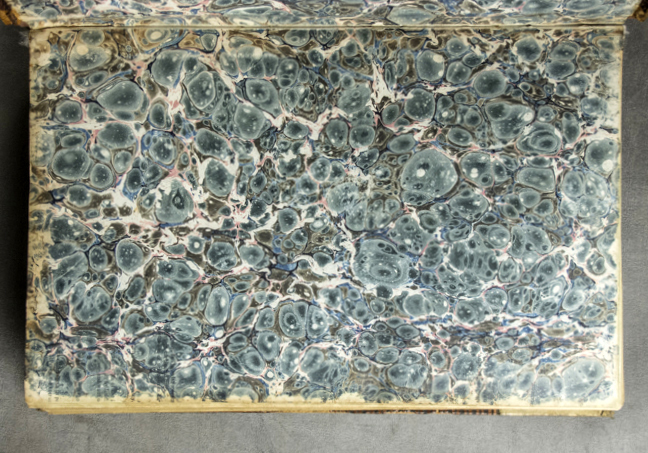 HSP Encounters is an ongoing project in which records and materials deemed of high research value are digitized and made available to Friends of HSP online, in searchable form. Historical essays incorporated in the system describe each database as well as establish historical context for the records contained. To highlight the databases in HSP Encounters, we'll be featuring historical essays describing the database's context and contents on Roots & Branches. The inuaugral essay, written by Laura Michel, looks at the Home Missionary Society of Philadelphia database. 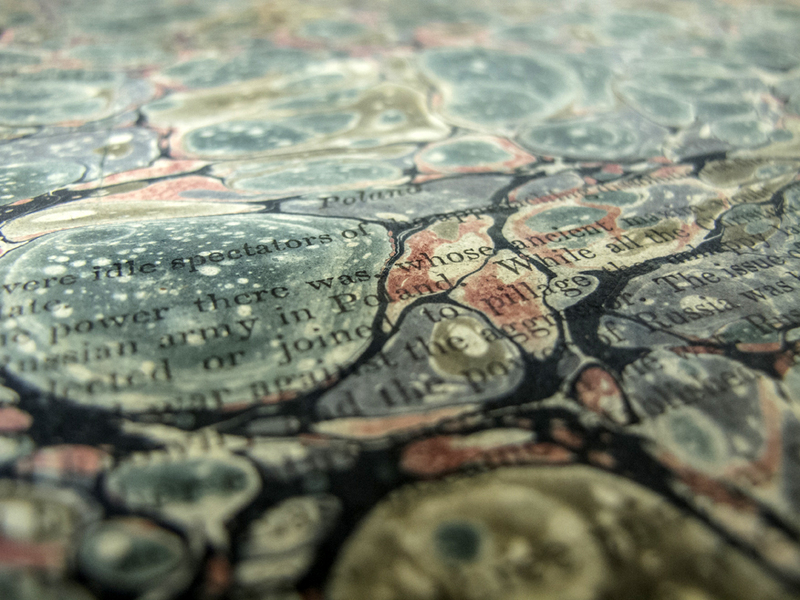 HSP Encounters is available to all researchers while inside the Reading Room. Remote access is a benefit to Friends of HSP. 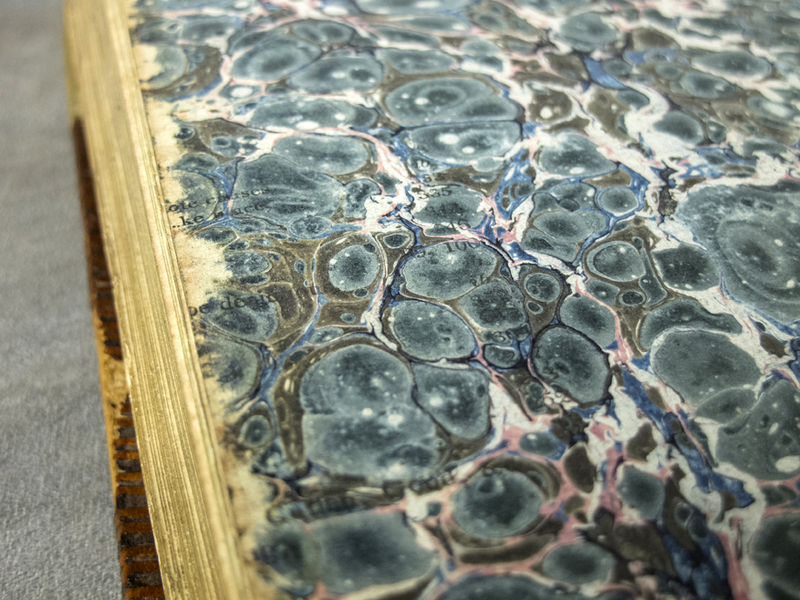 HSP also offers a Research-by-Mail service, with professional researchers delving into the collection in reponse to specific queries, as well as a Rights & Reproduction service for those wanting an archival-quality print of HSP's collection materials. Friends of HSP receive 40% off Research-by-Mail requests & 10% off archival prints. The Home Missionary Society of the City and County of Philadelphia was an organization that sought to spread its spiritual message of Christian piety through religious education and aid to the poor. Their reach was considerable—the Home Missionary Society of Philadelphia visiting book, 1883–1889 contains information collected during close to 5,000 visits to poor families, who were potential (and usually, actual) recipients of aid during the six-year period. Recipients of aid ranged from widows like Louisa Webb struggling to support her now-fatherless son who, tragically, was also a "chronic invalid" to single men such as Patrick Cohlen, an "aged" Roman Catholic enduring the final years of his life an ocean away from his native Ireland. 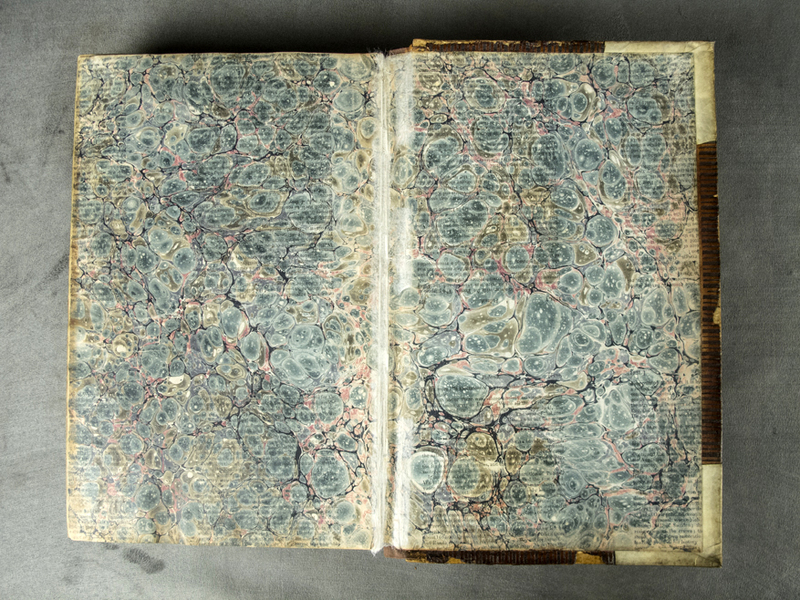 In these and the thousands of other entries contained in the visiting book, valuable genealogical, demographic, and biographical information is provided for individuals and families who– generally absent from tax rolls, unable to afford a church burial, without a sufficient estate to be probated, and often without personal papers to leave behind–can otherwise be absent in the standard genealogical (and historical) record. The impressive mobilization of people and resources by the Home Missionary Society of Philadelphia to visit the home of destitute Philadelphians such as Anna Hester, her husband–"a shoemaker out of work," and their three children and, upon determining the legitimacy of their need, providing the family with groceries, is illustrative of a larger trend in this period. As the nineteenth century reached its mid-point, a growing number of Philadelphians found themselves troubled by what they perceived to be a growing social and moral destitution in the metropolis and, indeed, throughout the country. One response to the apparent moral blight was the Home Missionary Society of the Methodist-Episcopal Church for the City and County of Philadelphia, founded in 1835 by members of the Union and St. George's Methodist Episcopal churches. Their primary objective was clear: "to promote the extension of the Redeemer's Kingdom, by means of preaching, prayer, and exhortation, and by the establishment of Sabbath-schools, distribution of Bibles, testaments, and other Books of a religious nature." 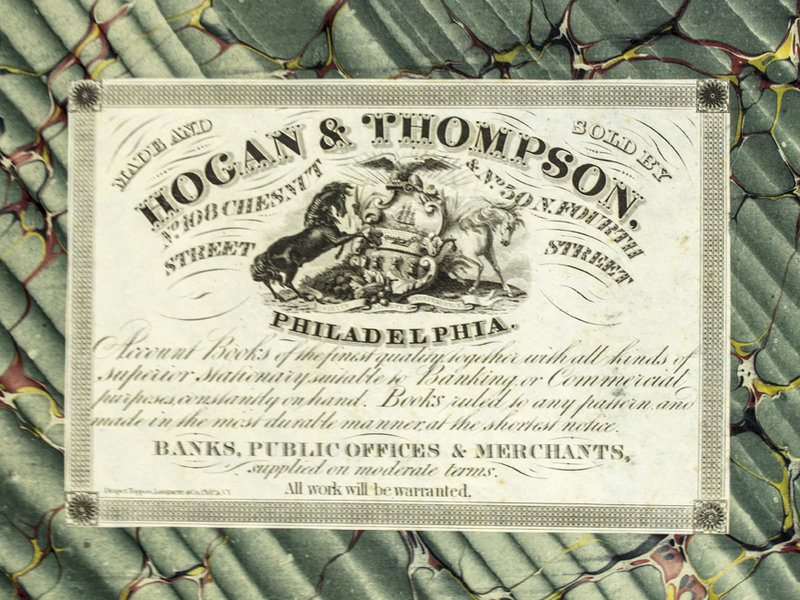 The early successes of the group's missionary efforts, however, were tempered by their burgeoning awareness of the profound poverty present in Philadelphia. Buoyed by a social climate that encouraged benevolent deeds among the middle-class as both fashionable and honorable, the objectives of the organization were officially expanded in April of 1845 to include relief of the poor and care for destitute children. Additionally, by dropping the "of the Methodist-Episcopal Church" from its name, the Home Missionary Society of the City and County of Philadelphia officially became a nonsectarian organization with aims that were, as the subheading on the title page of its 1846 Annual Report proclaims, "Christian, but not Sectarian." The recipients of relief as recorded in the Home Missionary Society of Philadelphia visiting book reflect this non-sectarian mission. While religious denomination is a category recorded by representatives of the society visiting the potential recipients of aid, there is no indication this information ultimately impacted if or what kind of help was provided. In a typical example, of the seven visits representatives made on December 22, 1883, seven families were granted relief by the society, none of whom were members of the Methodist Episcopal Church. Mrs. Smith, a Presbyterian, who was struggling to provide for her two children after her husband fell ill with pneumonia, was given a half ton of coal. Similarly, Susan Kilburn, a Baptist, whose husband was "injured by [an] accident," was given a quarter-ton of coal so that she, her husband, and child would not freeze during the cold winter months. Margaret McMullen and her family–members of the Episcopal Church, as well as two more Baptists, another Presbyterian, and a Roman Catholic family were also deemed to be appropriate recipients of aid that day in late December of 1883. In fact, not only is a diversity of Christian sects found in the record book, a handful of Jewish Philadelphians, including Amelia Unoskey, who had four children and a husband suffering from tuberculosis, also obtained assistance from the society. As the entries of the visiting book attest, it was not mere hyperbole when the semi-centennial history of the Home Missionary Society observed that recipients of aid came "from all nations, climes, tongues, and kindred, of all ages and both sexes, these weary-laden, poverty-stricken sick and wounded children of Adam." In addition to providing information about the denominational affiliation of Philadelphians in need of support, representatives of the society also noted the name, street address, race, place of birth, and family size in the visiting book. The interviews conducted to verify the legitimate need of a family or individual were done with the female in charge of the household–widowed or otherwise–though single men are sporadically listed as recipients of relief. In general, aid went to families that lacked a male breadwinner, a condition induced by a variety of circumstances including death, illness, unemployment, neglect (more than a few husbands were deemed to be "worthless") and abandonment. Indeed, a glimpse into the causes and experiences of poverty can be found in the short descriptions included by society representatives in many of the visiting book entries. The demographic information found in the visiting book highlights the racial and ethnic diversity of late nineteenth-century Philadelphia. Although a plurality of recipients of aid from the Home Missionary Society were natives of the city, many others were migrants from more rural parts of Pennsylvania or came from surrounding states such as Delaware, Maryland, New Jersey, and New York. More still were immigrants to the United States from Western European countries including Ireland, England, Scotland, and Germany. Also of note is the racial make-up of the recipients of assistance–the society frequently provided aid to black, or "colored," families, including Alice Tilford, a widow with a son who was "subject to fits." As was the case with their white counterparts, many were not natives of Philadelphia but came from nearby states or even the Caribbean. As varied as the backgrounds of those receiving assistance from the Home Missionary Society were, the type relief provided to individuals and families was fairly standard. As need was often greatest during the winter months when jobs were more scarce and illness more frequent, coal was a vital resource provided by the society to those in need. In many cases the one-quarter or half ton of coal provided was accompanied by groceries and, on some occasions, clothing or cash. Other recipients of aid did not receive coal, but some combination of groceries, cash, and (least often) apparel. A few indefatigable individuals undertook the society's visits to poor families, who were identified in the visiting book only by their initials (E. H. T., J. W. F., and J. B.). The majority of visits were by J. B., then by J. W. F. Most of the visits were during winter when many families struggled to keep their homes warm and supply other needs as well. 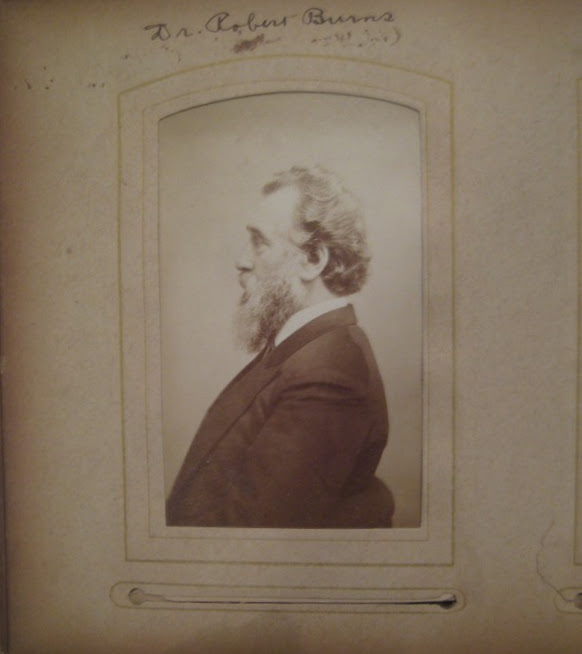 Three members of the standing committee of the society's board in 1885 were Emanuel H. Toland, J. W. Field, and John Barry; these gentlemen evidently were the organization's representatives who visited and then authorized aid to thousands of homes of poor Philadelphians. 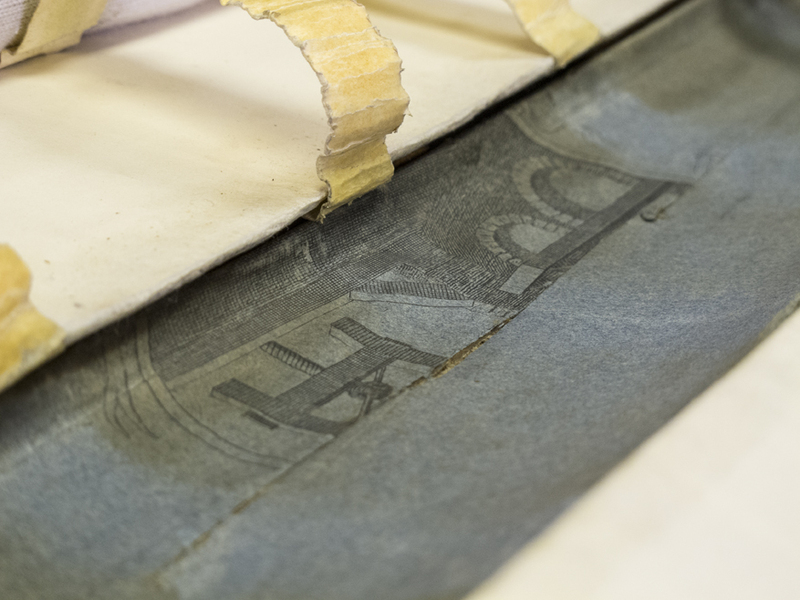 Copies of the original records may be obtained via HSP’s Research-by-Mail service (researchbymail@hsp.org). 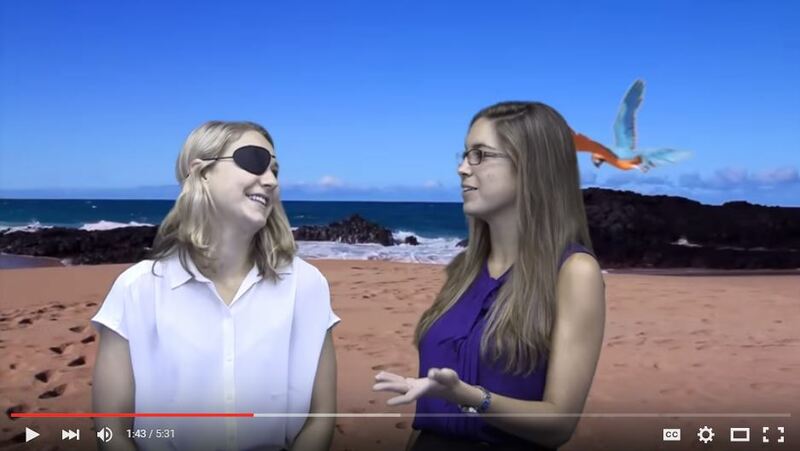 In support of this year's National History Day (NHD) theme of "Exploration, Encounter, Exchange in History," HSP's Alicia Parks and Sarah Duda take a look at five individuals and stories from our collections - including a captive of the Barbary pirates, Arctic explorers, suffragettes, and much more. The recent public launching of our genealogical and biographical database, HSP Encounters, is an exciting event. HSP Encounters is now available remotely to HSP members and to onsite researchers, and is a part of Discover, HSP's online catalog. The database is based upon making accessible unique HSP collections that are rich in personal information, assisting family researchers in both establishing their family trees and learning about the lives of their ancestors. The project has just begun its fourth year, funded by a generous grant from the McFarland Foundation. One great resource in the database are the index cards for the Oliver Bair funeral home records, with the names of the deceased and of the person, usually a family member, responsible for paying the funeral home bills. The researcher has the option of purchasing a copy of the funeral file, which contains a plethora of valuable information about the deceased, often including their former occupation, name of spouse, date of birth, names of parents, cause of death, and (for those who are interested) the type of casket and assorted funeral expenses. The hair and eye color, and weight, of the deceased person are usually included, and many files contain additional documents, usually newspaper obituaries or correspondence relating to the payment (or non-payment) of funeral home bills. 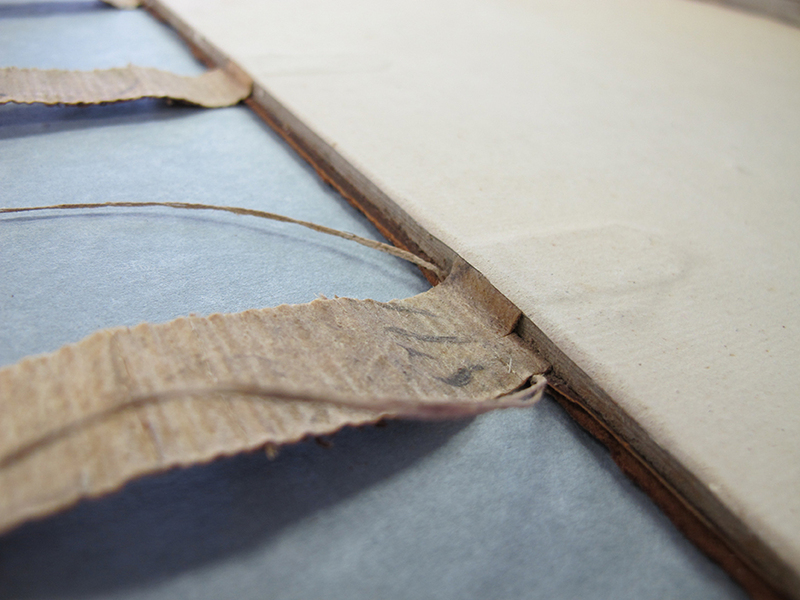 There are two other large sets of index cards in HSP Encounters that had been assembled over the years by library staff and volunteers, to the Pennsylvania Revolutionary War Battalions and Militia muster rolls and to the Genealogical Scrapbooks and Research Folders collection. We’ve gotten a steady number of requests for copies of the muster rolls (as transcribed in the Pennsylvania Archives) which we send along with any descriptive information in the Pennsylvania Archives about the military activities of the company. The genealogy cards refer to research that is not apt to be found any other way, since the information on the noted family is usually contained in research primarily (and hence cataloged as) about another family. It is but one example of how much information lurks in the nooks and crannies of the HSP. Most exciting, due to the depth of documentation, are the record descriptions provided in HSP Encounters from the registers of the Home Missionary Society of Philadelphia, the Philadelphia Home for Infants, and the Philadelphia Placement Office, all late 19th Century charitable organizations. The register of the Home Missionary Society records 4,891 visits by representatives (three energetic individuals, working solo) to poor families in Philadelphia over a six year period. The society generally dealt with the female head of household, providing her name but also noting the number of family members, street address, religious denomination, race, and the relief granted (coal, clothing, groceries, or cash). A brief remark is often made about the reason for the family’s predicament, such as “Husband drinks, wife sickly” and “Husband a wounded soldier, disabled.” The combination of the specific relief granted and the note on the family situation creates vivid images of families in distress. Some of these records will be essential in resolving “brick walls”—since there is often scant documentation for poor people, the family relationships revealed in the Home for Infants and Home Missionary records may not available from other sources. There are still “brick walls” out there to be resolved, and one goal of this project is to help demolish such walls. At the same time, it is true that bare bones genealogical research is becoming easier. With more and more genealogical records becoming available, on ancestry.com and familysearch.org and other web sites and in countless libraries and archives, there are going to be fewer family researchers who say, “I have been looking for thirty years to know who the parents of [a particular ancestor] are.” If establishing the family tree is easier, why not use some of excess energy to learn more about the lives of your ancestors? That’s why we named the new genealogical database “HSP Encounters”—researchers can have an encounter of sorts with their ancestors through records that are rich in personal detail. A narrative can be built about one’s family, an ever evolving story of many individuals. And to understand this narrative, to make sense of it, means learning more about history. We need to know the ways in which society was different than it is today to gain a deeper understanding of the records. That’s why we have included historical essays on the collections in HSP Encounters—and asked questions like: What were the goals of an institution like the Philadelphia Home for Infants? Who founded it? Why did infants end up there? What kinds of family backgrounds did the infants come from? How many suffered from diseases? Were the children well-treated? How successful was the institution in bettering the lives of the infants? Learning more about the Philadelphia Home for Infants will enrich one’s understanding of the records of one’s ancestor’s specific involvement with that institution. The historical essays provide a bridge to history, for those willing to cross it. Take, for example, this gentleman. In addition to the stylish length, the streak of grey hair shows a level of confidence in his appearance and compliments his balding head. 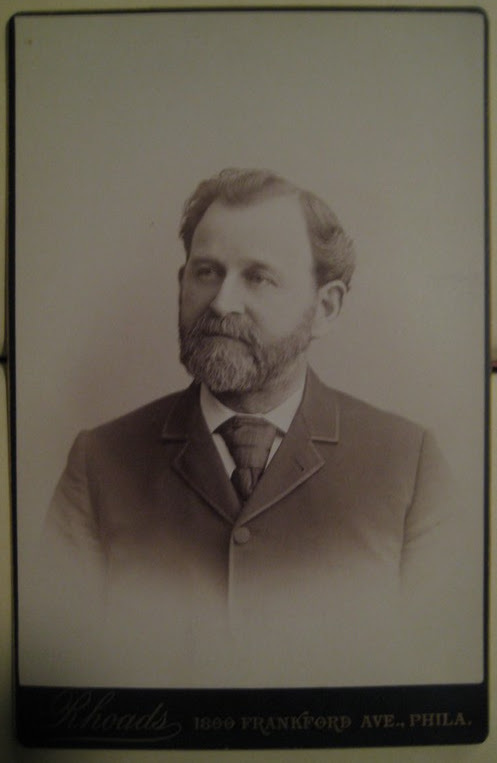 The Historical Society of Frankford’s collections also include several photograph collections such as the Lincoln Cartledge photograph collection, the T. Comly Hunter photograph collection, the Guernsey Hallowell photograph collection, and collections of cabinet cards and daguerreotypes, to name a few. 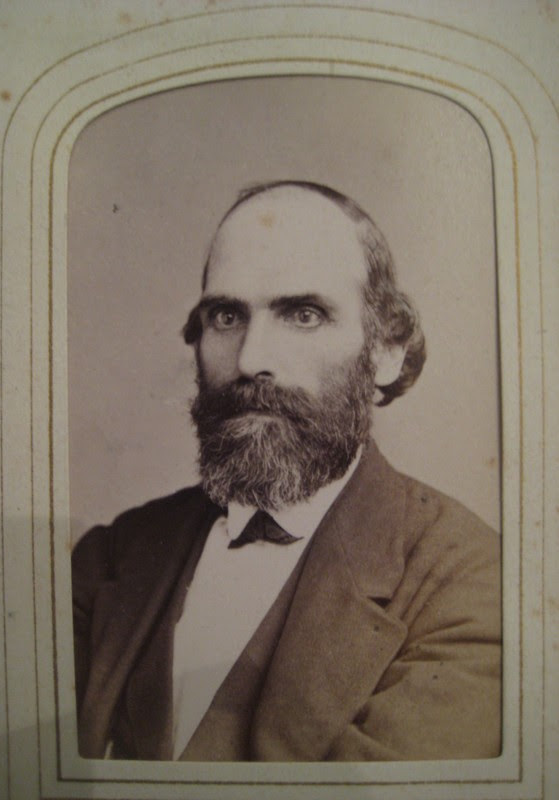 The gentleman below can be found in the Society’s cabinet card collection. This oversized photograph found in the records of Frankford Hospital captures a moment on one of the floors of the hospital. 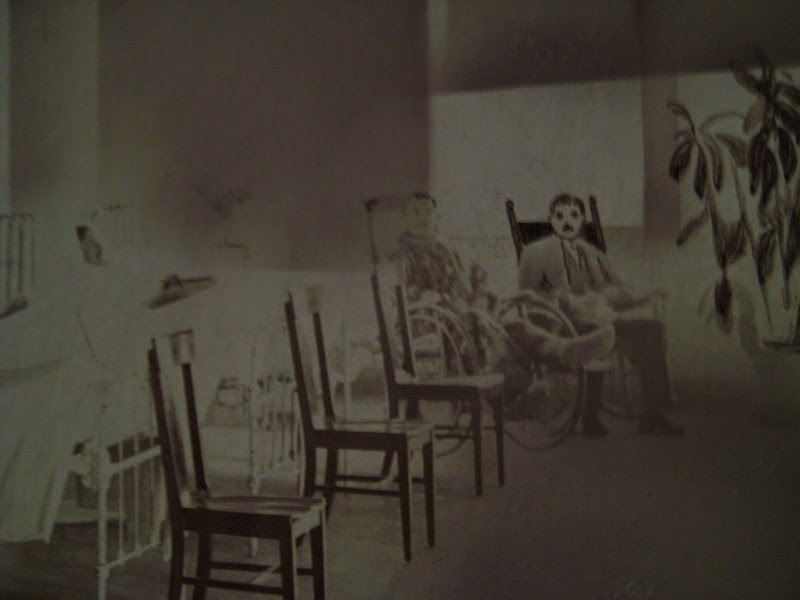 Unfortunately, the lighting made it difficult for the photographer to capture the gentleman in the wheelchair – resulting in an artistic interpretation of the missing man, mustache included. 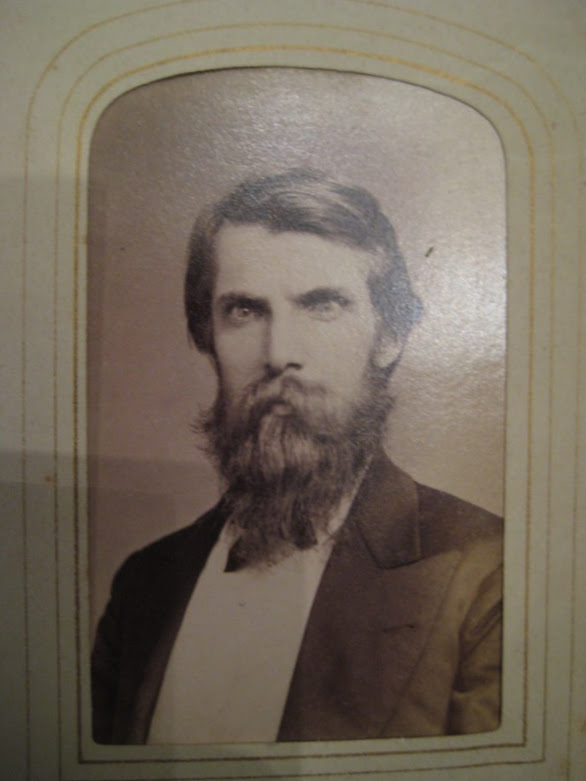 Although he may not have sported such a fine mustache, it clearly adds to the image. Nearly half of the Frankford Cricket Club Cricket Team boasts bushy mustaches, most likely to help them become more aerodynamic as they run between wickets. Here, they are photographed at the Halifax Cup, a Cricket tournament that still takes place today in Philadelphia. 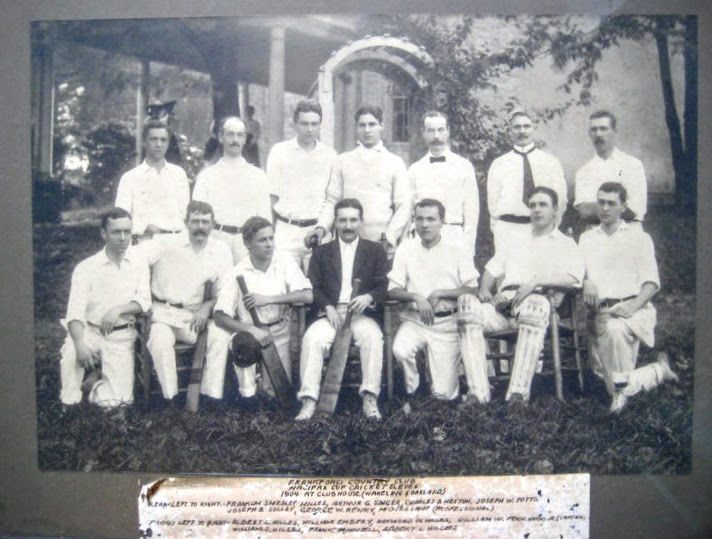 Even though they lost (beat by Germantown Cricket Club), Team Captain William W. Foulkrod (front row, center) had the highest batting average for the team and fourth highest overall for the Cup. It must have been the mustache! 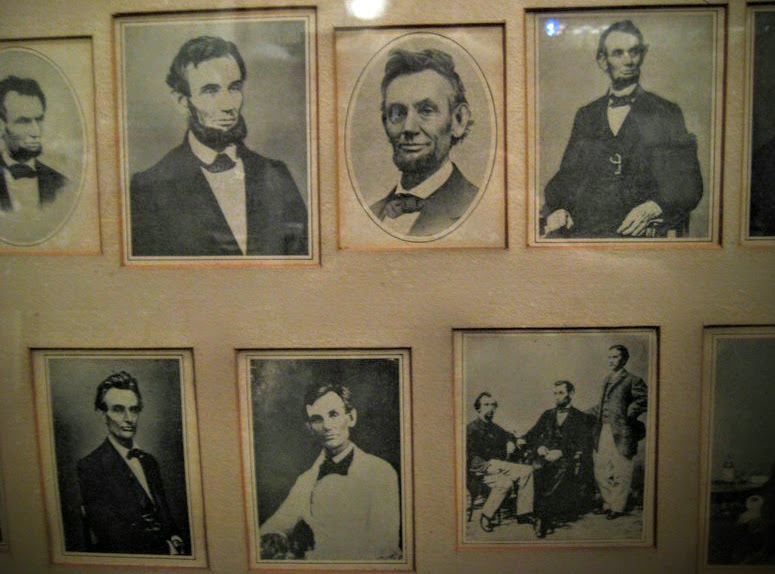 Special mention must be made for the beard of Abraham Lincoln, found in multiple states throughout the J. Friend Lodge Collection. Donated to the Historical Society of Frankford upon the death of John Friend Lodge, it is an extensive collection of books, articles, manuscripts, photographs, and autograph books relating to the Civil War, Abraham Lincoln, and Americana. In addition to serving as an excellent collection documenting the state of Abraham Lincoln’s facial hair, it offers an extensive source of published material about the life of Lincoln. The impressive autograph collection also includes the signatures of notable military figures, politicians (including presidents), and authors such as Ulysses Grant, General George Meade, Harriet Beecher Stowe, Theodore Roosevelt, Elizabeth Cady Stanton, and Walt Whitman. The Tomlinson, Peters, and Foehr Papers contain a variety of materials, a majority of which document the Tomlinson family, the Peters and Foehrs having married into the Tomlinson family. 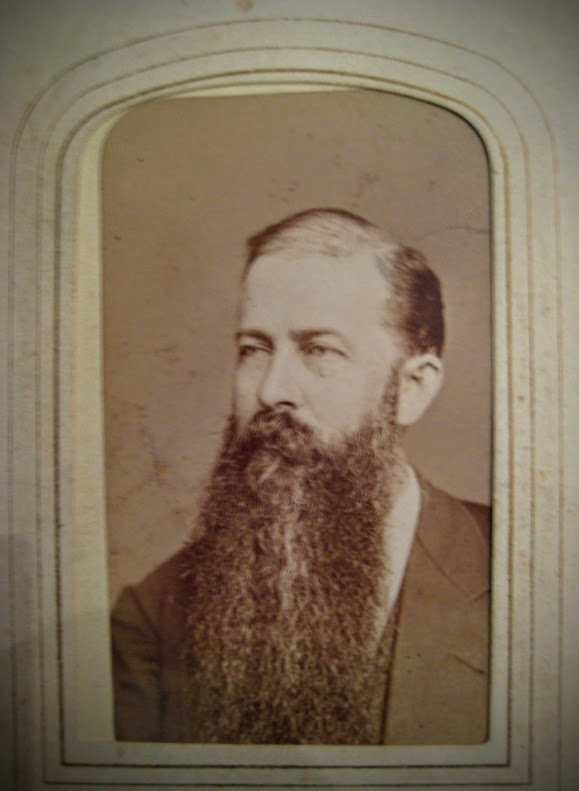 Dr. Jonas T. Peters, photographed here with an amazing French fork beard, was the younger brother of Mary R. Peters, who married Thomas Pierson Tomlinson. Dr. Peters worked as a dentist in Norristown, PA. Surely, his patients must have appreciated his robust facial hair! 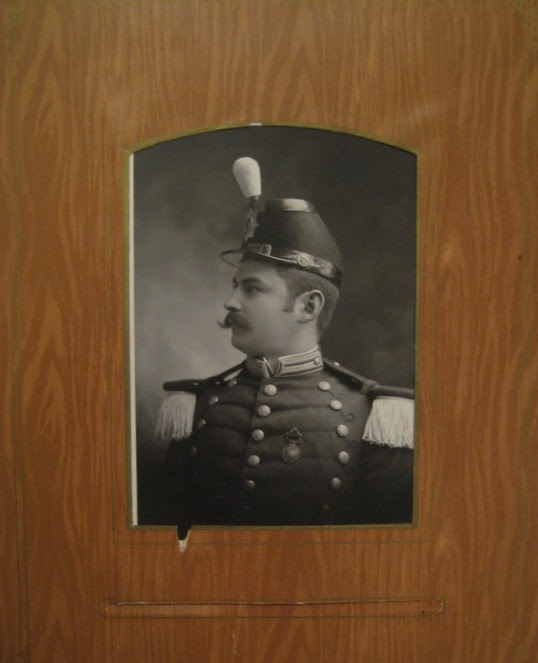 Of course, moustaches were not only found in late 18th century and early 19th century photographs at Frankford. 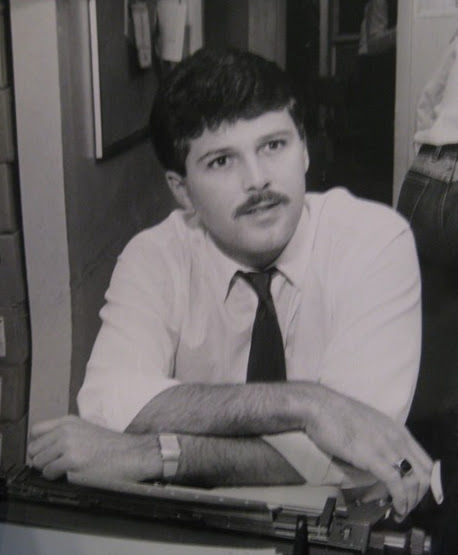 The News Gleaner records at the Historical Society of Frankford include a large collection of photographs from the newspaper’s run, including this great shot of Lou Tilley, anchor at KYW TV3 in the 1980s and 90s. Unfortunately, he no longer has this marvelous moustache. Of course, there is much more to the Historical Society of Frankford than just beards and mustaches. 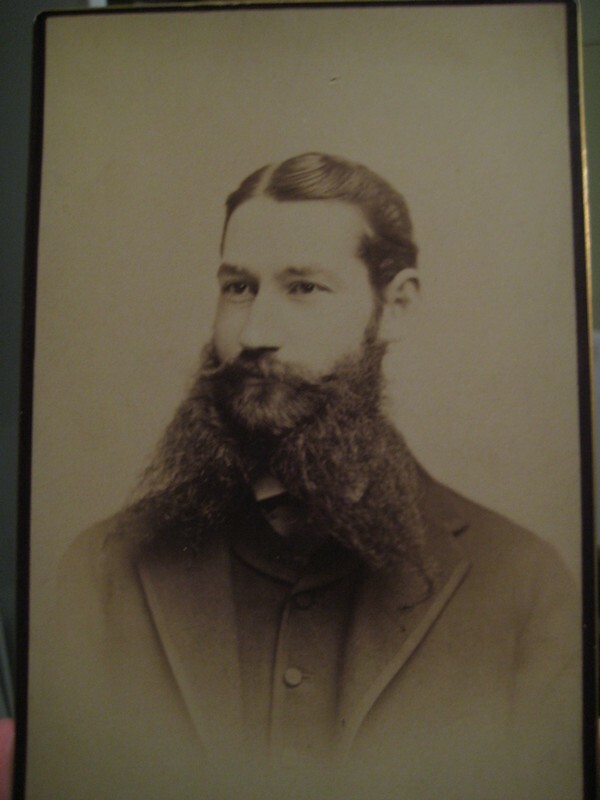 In addition to preserving examples of glorious facial hair, the Historical Society of Frankford documents significant people, places, and organizations of the Northeast. Noteworthy collections not mentioned here include the Wright’s Industrial and Beneficial Institute records, the Magarie Andrews Smith papers, the Yellow Jackets football team (precursor to the Philadelphia Eagles) collection, and an extensive collection of deeds, to name a few. Take a visit to the Historical Society of Frankford to learn more about the history of Philadelphia, the Northeast, and Frankford! PHILADELPHIA, PA – The Historical Society of Pennsylvania (HSP) is pleased to announce today’s launch of Politics in Graphic Detail: Exploring History through Political Cartoons, an exciting and innovative digital history exhibit featuring more than 125 richly annotated political cartoons. Spanning American history from the colonial period through the Progressive Era, these cartoons represent a diversity of topic, issues, and events befitting our raucous democratic process.